North-Central NJ Real Estate and Homes: Increadible Value! Best positioned to profit from. . . a true MUST SEE! Increadible Value! Best positioned to profit from. . . a true MUST SEE! Open House! Sunday March 29th | 1 - 4 pm. 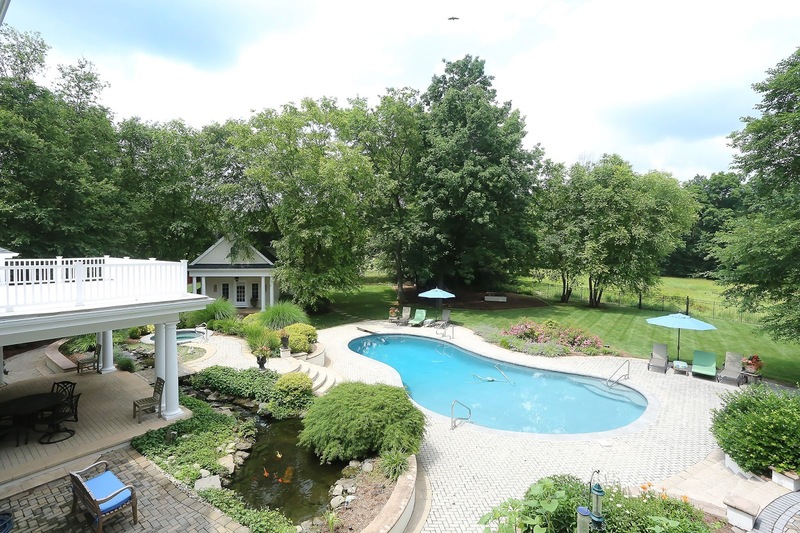 208 Liberty Corner Road is a luxurious Estate located within Basking Ridge's prestegious Far Hills section. Nestled on over 9 acres of land this Estate offers an extensive array of amenities and living spaces, there were no corners cut when it comes to this homes design. From the moment you step inside of the home you are greeted with elegance, the marble floors and spiral staircase make for a dramatic yet elegant entry-way. Regardless of which room you are in it's simply impossible to not find yourself observing natural beauty and architecture that this estate has to offer. The backyard of the home bodes a truly spa - like experience, start with an extensive patio where you will find a cabana perfect for relaxing and enjoying the views & nature, fire pit, in-ground pool, and hot tub perfect for entertaining, lastly the koi fish pond and private garden make getting in touch with nature as simple as walking into your backyard. There is also a private carriage house (sometimes referred to as a pool house) which has a full bathroom, along with open space on both the ground and second levels which can be personalized to make this the perfect summer oasis. Sunday March, 29th from 1 - 4 pm at our Open House to see all that this superb Estate for yourself! for more information & photos of this luxury property, please follow the link below to our website!